The Israeli government has informed the High Court of its decision refusing to allow medical treatment for Gaza patients, even those who require life-saving intervention, “if they are related to members of Hamas,” except for patients 16 years of age, or younger. The government said that even if the patients’ illness is fatal, and Gaza hospitals cannot treat them; they will still be denied access to Israeli and Palestinian hospitals in the country, especially in occupied Jerusalem. It informed the High Court of its decision after seven women from Gaza filed an appeal after being forbidden from leaving the Gaza Strip for several months, although they had referrals to hospitals in occupied Jerusalem. Israeli Supreme Court Justice Uzi Vogelman said the decision to ban the patients from entering the country is “based on assessments,” if the patients are deemed to pose a security risk. It is worth mentioning that a similar decision was made in 2017, in order to impose further pressure on Hamas, by denying the patients access to life-saving treatment. 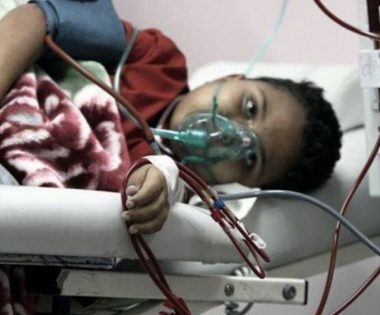 Hundreds of patients from the Gaza Strip, including children, women and elderly, have died due to the Israeli siege on the coastal region, since 2007, and after being denied travel permits for medical treatment, and due to the lack of medication and equipment. At least 769 Palestinian patients have been denied exit from the blockaded Gaza Strip by Israeli authorities, since January 2018.